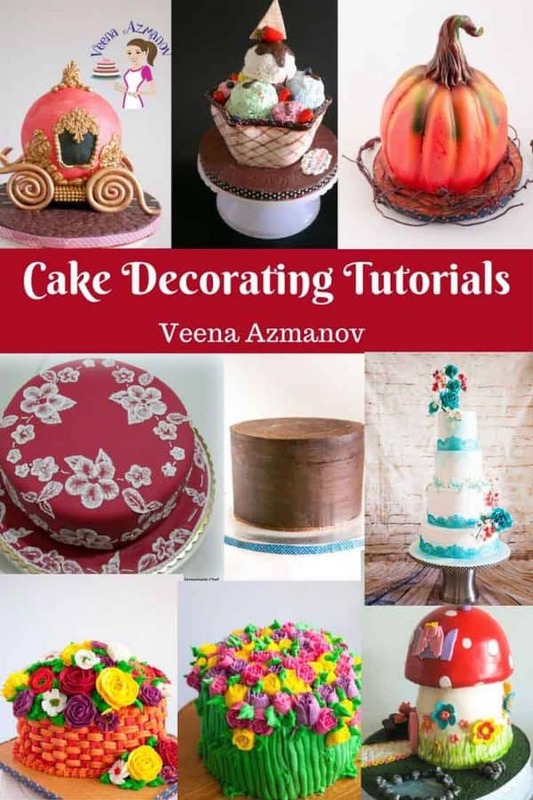 Making fondant fruits can be a fun project. This simple, easy and effortless tutorial to make realistic looking fondant strawberries for food cakes will take your next food inspired cake to the next level. 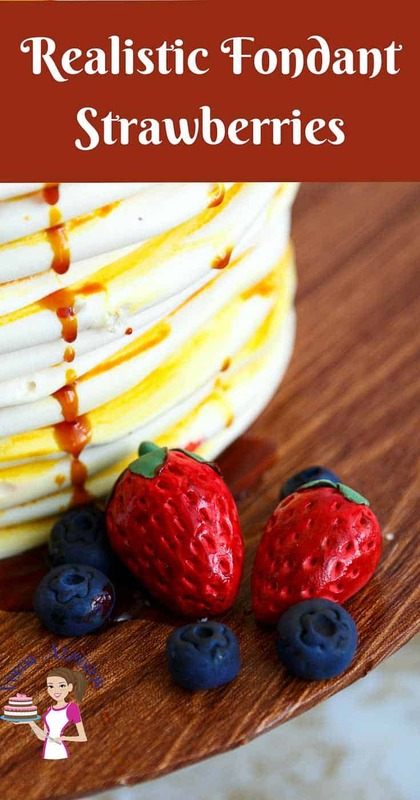 No will guess if the fondant strawberry on your cake is real or faux like on this pancake cake accompanied with realistic fondant blueberries. 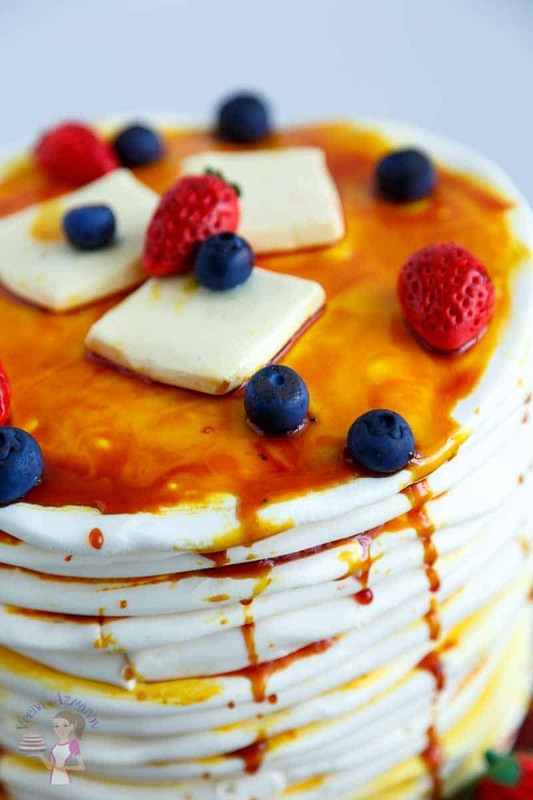 I made this pancake cake recently and no one – yes, no one believed that the strawberries and blueberries on the cake were from fondant. Was so cool. In fact, Aadi offered to eat one so he could prove to them that they were fondant. I made a few extra so I could take pictures of just the fondant strawberries and fondant blueberries for this tutorial. But!! none remained – the kids were so fascinated with the idea that these were fondant made and looked so real. 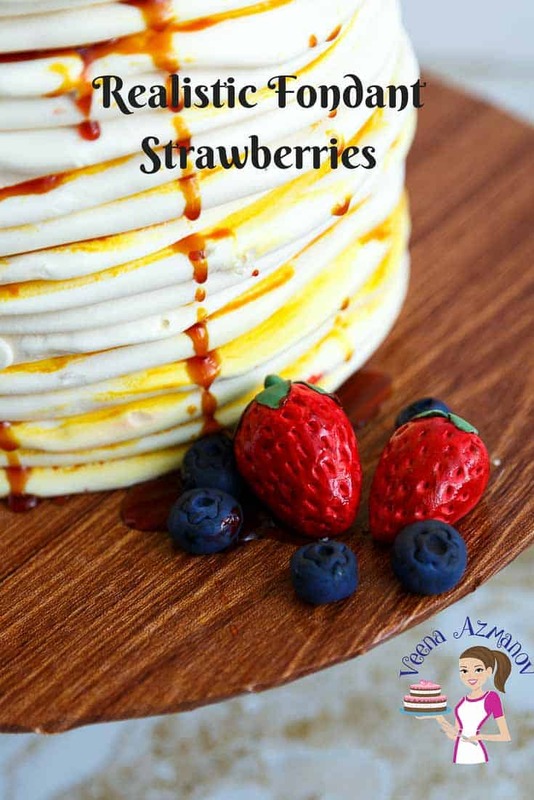 You can see this Pancake Cake Tutorial as well as how I made the realistic Fondant Blueberries here after you have seen this video for fondant strawberries. The video is fairly simple and short. I have subtitled everything so you don’t really need to sit and listen to me blabber. If you do have any questions feel free to ask me in the comments below. I am always happy to answer any questions you may have. Wow Well done you wonderful lady Veena..Happy Blogging Anniversary and My warmest Congratulations on such an awesome first year.Your blog content remained always good & inspiring. Wish you best luck ahead in blogging… :)Can’t remember the blogging world without you :)Have fun!